How to Increase Your Ecommerce Store Sales With Colour Psychology? You can always tell what an online store sells just by looking at the colours they use. For ecommerce entrepreneurs to run a successful business, it is important that they use the right combination of colours to influence their customers’ mood and states of mind. Colours have been proven to have a significant effect on consumers’ reaction and, more importantly, trust towards your brand. Shoppers subconscious mind will evaluate a certain product within the first two minutes of the initial viewing and majority of them make such judgement solely based on colour. According to various marketing studies, colour is responsible for up to 85% of why people decide to buy and can increase brand recognition by up to 80%. 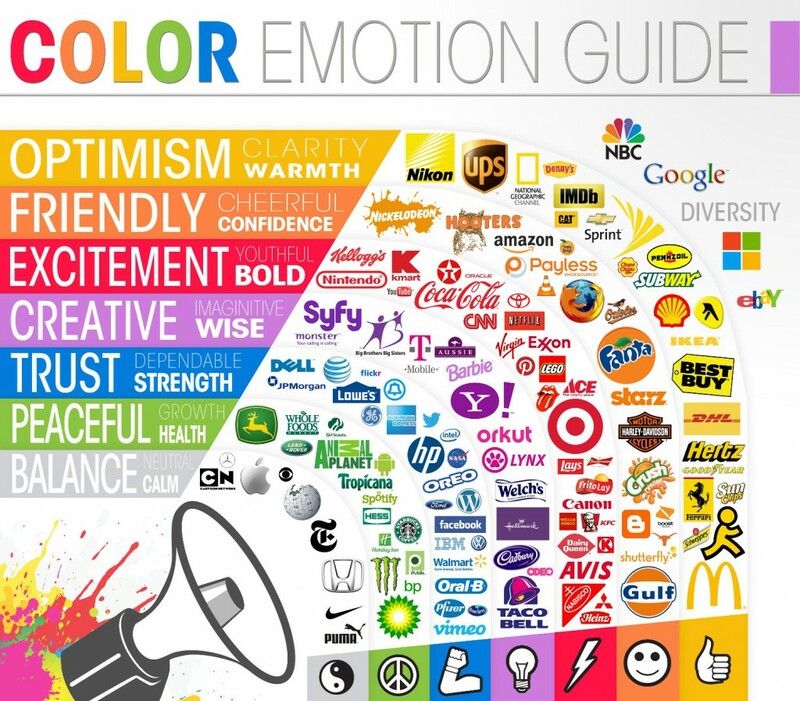 Here is a brief look at the colours that many established brands use and the effect they have on their customers. So How Do You Choose A Colour Scheme? In order to pick the right colour scheme, you need to have a clear vision of your brand, where your products will fit in the market and who your typical or target customers are. What kind of image do you want to potray? Is it elegance and sophistication? Is it trust and friendliness? Or is it purity and cleanliness? White gives the impression of purity, wholesomeness, and innocence, and it is almost essential to most web pages. White is always the best choice for background since it provides the most contrast with most of the text colors. The template above is called Swank and can be found in the webShaper bizStore designs. Black is associated with sophistication, power, and authority. When used in e-commerce store, it usually sends a confident vibe to customers. Black is a great color to use if you want to make your products look expensive and worthy of value. Above is a webShaper theme called Blocknano. Grey is usually connected with seriousness and a conservative mindset. The right shades of grey can serve as a great backdrop for more vibrant colours such as orange, red, and blue. Above is a webShaper theme called Skinny. Blue is necessary to convey feelings of trust and peace and is one of the most used colour theme on websites. Above is another template from the webShaper sohoStore designs – it’s called Footsteps, and is in a cadet greyish blue. Pink is usually linked with femininity as it radiates gentleness, romance and love. Since pink has a calming effect, it can be used to balance out more aggressive colours like black. Above is a webShaper bizStore template called Reneer. The colour red affects the shoppers emotions the most and is attention-getting so it can convert potential buyers into customers. But when used wrongly, webpage can be visually overwhelming, forcing site visitors to leave. Above is a template called Allegro from webShaper sohoStore designs. Yellow radiates optimism and cheerfulness. The yellow accents can be used to generate excitement in buying your products and help bring a happier feel to the site. Above is one of the latest webShaper bizStore template called Neoteric. The color brown relates to quality in everything – a comfortable home, the best food and drink and loyal companionship. Therefore, it relates well to businesses that promote down-to-earth and outdoor products and activities. Above is a webShaper template called Tartan and is extremely customizable. Green is a color of growth and vitality. It relates to the balance and harmony of the mind, assisting in decision making. When shoppers see green, they feel calm, relaxed and safe. Above is an extremely customizable theme called Momentum, the latest webShaper sohoStore designs. Click here for more webShaper designs.